control needs. Diaphragm switches are ideal for applications demanding instrument class accuracy and where pressure pulsations are less than 25 cycles per minute. Available in various pressure ranges up to 150 psi, diaphragm switches are suitable for use in either positive pressure or vacuum applications. Single, and dual, and triple circuit models are available. Housed models (D1H & D2H) feature a durable, anodized aluminum enclosure with an integrated 1/2" NPT conduit connector,a tamper-resistant cover for the setpoint adjustment screws, and are rated to NEMA 4 as a standard. For applications requiring a highly accurate switch in a durable package, Barksdale's Diaphragm Pressure Switches are the ideal choice. gle- and dual-circuit models are available. Housed models feature a durable, anodized aluminum enclosure. For applications requiring a highly accurate switch in a durable package, Barksdale's D1T & D2T Terminal Block Diaphragm Pressure Switches are the ideal choice. 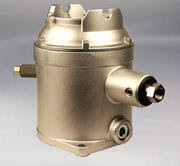 e, Barksdale's Explosion Proof Diaphragm Pressure Switches are the ideal choice. 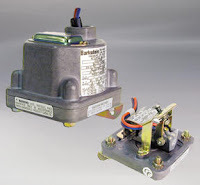 Barksdale's CD1H and CD2H Housed Diaphragm Pressure Switches provide an ideal solution for pressure control applications requiring tamper proof external adjustment and environments which require water-tight NEMA 4 housings. 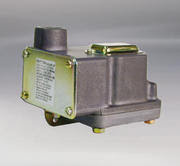 These pressure switches are available in single or dual control settings for both positive pressure and vacuum models, to 150 psi. These snap-action switches may be wired normally open or normally closed through a 3/4"-14 NPT conduit connector to free leads to 18". All models feature self-locking set screw adjustment and dials which are calibrated for increasing setting. For applications requiring a highly accurate switch in a durable package, Barksdale's CD1H and CD2H Housed Diaphragm Pressure Switches are the ideal choice. Stripped models are also available. Flow Factor provides Industry with Flow Control Products for Process and Liquid control. Some of our products include Solenoid Valves, Pumps, Flow Sites, Level Controls, Eductors,Temperature Switches, Pressure switches, Meters, Gas Meters, Flow Meters, Floats and hot water heaters. Some of our Brands include ASCO, Barksdale, Parker, Penberthy, Fenwal, SSAC, Carlo Gavazzi, Armstrong, MDI, American Meter, Dwyer, Ametek, Robertshaw, Process Technology and Princo. Please call or email with your application. We can Help.